Get Emergency Cash Now From St. Louis Title Loans! Luckily, St. Louis Title Loans is here to help. We stand out in an endless sea of faceless banks and financial institutions. Our reliability is what makes us so distinctive. You can depend on us! When banks and other financial institutions fall through and don’t give you the loan that you need, St. Louis Title Loans will help you. We’ll meet you where you’re at and give you a helping hand. 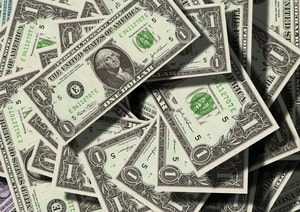 If you’re in need of fast cash now, we can help you get your hands on an immediate cash resource. Best of all, you can get same-day approval! Who needs to stand in line and wait at the bank? You’ll only be disappointed to find out that a minor infraction caused the denied of your loan application. Then all that time you have spent has been lost and wasted! Don’t get caught up in a spiral of despair. Give us call now at 855-303-CASH (2274) and get started on your application! What Makes Us the Best In Missouri? What makes St. Louis Title Loans the best? Without a doubt, it’s our speed! Unlike banks and other financial institutions, we don’t sit around on our hands and let customers wait for our response. We’ll be at your beck and call! Our customer-friendly loan officers are excited to help you! We don’t use aggressive sales pitches or try to force you into a deceptive scheme. We don’t take advantage of our customers or lie to them. Instead, we stick to our policy of putting our customers first and giving them the best service as possible. We love to help you get your loan to take care of those immediate needs! How Does St. Louis Title Loans Work? You’ll be amazed at how fast our loan process is! St. Louis Title Loans has a mission to make our loan process as easy and fast for you as possible. This means we cut out the waiting, the piles and piles of paperwork, and the intense background checks, all so you can get your loan within the same day or in just an hour! Here’s the 3 easy steps to take. Give us a call at 855-303-CASH (2274) or fill out our quick online application form. To get started, give us a call today or apply online with our easy application, which will take under 5 minutes to complete! Once you give us a call or apply online, our loan officer will be in touch with you and answer any questions you may have about the process. You can get approved for your loan in less than 15 minutes! You may be thinking, “Well, what about the high-interest rates?” St. Louis Title Loans boasts in having better interest rates than our competitors! That’s our guarantee! Will we impose high-interest rates? Not on your lifetime! Our interest rates range between 15% to 20% APR, which is far under the industry average. We don’t prey on the weak by charging you ridiculous rates such as shady pawn merchants. Instead, our payouts are smaller and easily liquidated in shorter periods. You can pay off your loan comfortably in installments and we offer various flexible plans to meet you where you’re at. Do we turn away people with bad credit? Certainly not! Unlike banks, we don’t turn people away just because they have poor credit or a bad payment history. As long as you have a paying job and can afford to pay off the loan in installments, you are more than qualified for a loan with us. 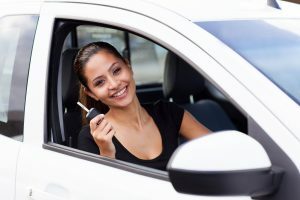 Don’t let a bad credit keep you from getting the help you need! We’ll give you the best opportunity to receive the immediate cash bundle you’re looking for! Don’t hesitate to call St. Louis Title Loans! St. Louis is the largest metropolitan city in the state of Missouri. The city was founded in 1764 by French fur traders who named the city after King Louis IX of France. 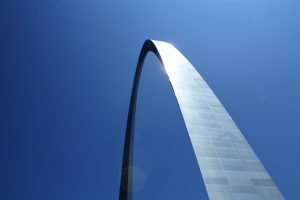 St. Louis is most known for its famous monument, the Gateway Arch, which is the world’s tallest arch. The stainless steel Gateway Arch was completed in 1963 and stands at 630 feet tall. The monument was created to represent the westward expansion of the United States and was dedicated to the American people.